After a morning spent in the classroom for theory lessons, the BLS stewards (including myself) on the Green Dragon Minor Railways Safety Passport scheme were taken out onto the lineside by Major Ian Hughes, course tutor, to put things into practice. 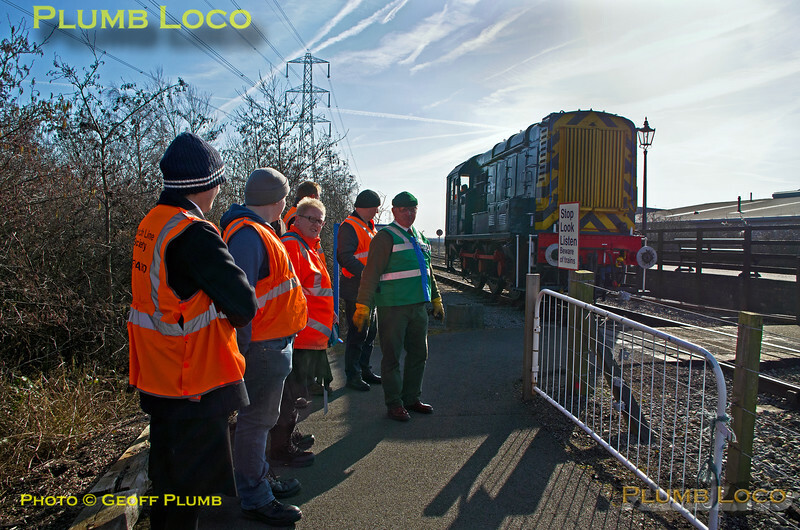 The group waits at the foot-crossing to the platform at Middle Engine Lane while 08 915 passes by, the loco involved with another BLS group concerning radio communications. 11:50½, Saturday 24th February 2018. Digital Image No. IGMP33781.